Muslim fanatics, so-called Islamists, are the most violent enemy of Christians in the world. While it is considered controversial to even mention this today, even less reported is the non-violent counterpart to these barbarians: militant secularists. The latter are growing in influence by leaps and bounds, even to the point of accommodating the Islamists. According to CBN News, thus far this year there have been well over 1,000 attacks on French Christian churches and symbols, most of them Catholic. That’s an increase of 17 percent in one year. As everyone knows, radical Muslims are to blame. In the Middle East and Africa, Christian persecution is routine. The Christian character of Mosul in Iraq is gone—Christianity has been obliterated. Eritrea, known as the “North Korea of Africa,” is under siege by a madman; women and girls are bearing the worst of the brunt. In Nigeria, more than 2 million people, many of them Christians, are being driven from their homes by Islamists known as Boko Haram. During the first half of 2018, 6,000 Christians were killed in Nigeria, most of whom were women, children, and the elderly. As University of Mississippi professor, and Catholic League advisory board member, Ronald Rychlak notes, “The only place in the Middle East where Christians face no restrictions on the practice of their faith is Israel.” That, too, is underreported. How bad is it getting? “If you’re a Christian living in the U.K., now might be a really good time to think about emigrating to the land of the free and the home of the brave,” Fraser says, “where the biggest nuisance for people of faith is an overabundance of options for worship.” He also noted that Sweden is deporting Christians seeking asylum to countries such as Afghanistan. Matters are better here at home, though militant secularists are targeting Christians and Jews at an alarming rate. Government officials at the federal, state, and local levels, along with elements in the media, Hollywood, the artistic community, and higher education, are doubling down these days in their efforts to smear or otherwise denigrate people of faith. Ready to assist them are radicals who staff non-profit activist organizations, and the foundations that support them. In the “civilized” world of the West, Christian men and women who take their religion seriously are subjected to bigoted inquisitions when being considered for a judicial appointment. Christian clubs on college campuses are denied the right to have Christians lead them. 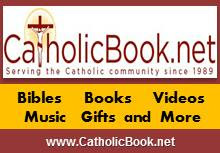 Catholic schools are told they don’t qualify for matching corporate gifts because they teach Catholicism. More common is the practice of denying Christian organizations a religious exemption, even when it is clear that not granting the exemption effectively neuters their right to be Christian. They are told that by clinging to their Judeo-Christian teachings, they are interfering with the rights of others. Jews are accused of “dual loyalties,” an anti-Semitic trope that has recently resurfaced in elite quarters. The BDS movement, which is popular on many college campuses, is out to crush Israel. The fact that such bigotry is led by young people—including in the halls of Congress—makes this all the more disturbing. If those who preach the virtue of tolerance meant what they say, we wouldn’t have any of these problems. But they don’t—they are content to lie for a living. Worse, they are the guilty parties in the West. Is it any wonder that militant secularists rarely condemn radical Muslims? To be sure, the former don’t want to live under Sharia law, but they are prepared to take that risk provided their Muslim allies keep whittling away at our Judeo-Christian heritage. This is a sick pact that has grown exponentially since 9/11. It needs to end before more damage is done. 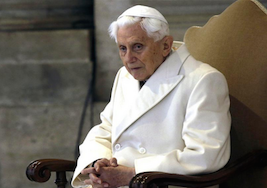 The text now made public is the letter that the pope emeritus wrote to the chief rabbi of Vienna, Arie Folger, in August of 2018. Rabbi Folger replied to this letter on September 4, with a letter of his own that is also published in the book. “To become the Mother of the children of God, Mary had to suffer all the pains of Calvary! For it was only then that from the height of my Cross I dropped the sacred words of that title for eternity, conferring upon her and entrusting her with the universal maternity of souls. Creative words like all my words! At the very moment when I pronounced them, perceiving the whole human family through my virgin apostle in an immense vision of tenderness, I created in Mary a true motherly heart for each member of this family, while I created each soul as a true child of Mary, a child of her co-redemptive pains. (1) A nun who wished to remain anonymous. (Nihil obstat, Jos Du Bouchet, March 18, 1943. Imprimatur A. Leclerc, 28 May 1943). The Virgin was absolutely certain of the Resurrection of her Son since he had openly predicted it; but she did not know the time, because it was not specified anywhere. She spent the night of Holy Saturday, which seemed very long, reflecting on the possible time of the Resurrection. Knowing that David, more than the other Prophets, spoke of the Passion of Christ, she went through the psalter, but found no indication of the time. However, in Psalm 56, David, speaking in the person of the Father to his Son, says: “Awake, my glory, awake my harp and my zither.” And the Son answered, “I will awake at dawn…” When the Virgin Mary discovered the hour of the Resurrection, you can only imagine how eagerly she awaited daybreak. That promise has been fulfilled, and continues to come true every day. I am privileged to be part of many meetings with officials of President Trump’s administration, and each time, I am more and more impressed with how much is happening behind the scenes that people who elected him need to know. And it’s not that the administration is trying to keep it secret; it’s just that good news travels slowly. For instance, were you aware that the long time problem of health care professionals being forced to perform abortions against their conscience is being addressed by the president in a very direct way? He has established an office to which such individuals can submit complaints, so that action can be taken to protect their rights of conscience. Various laws have been in place in other pro-life administrations to protect conscience rights, but the Trump administration is going after the offenders much more directly and vigorously. It is almost impossible not to find a dire symbolism in the burning of Notre Dame Cathedral in Paris on the first day of Holy Week, the day after – as Ross Douthat points out – Catholics worldwide listened to a Gospel in which St. Luke recounted the rending of the veil of the temple. Notre Dame is the symbolic heart of the Catholic Church in France. And France – the “eldest daughter of the Church” – is in many respects the symbolic heart of the faith in Europe. Many felt something like physical pain watching this most magnificent and history-laden Catholic cathedral burning. Many too found in this horrific event a physical manifestation of the destructive fires that are ravaging the Church in France, Europe, and much of the world.